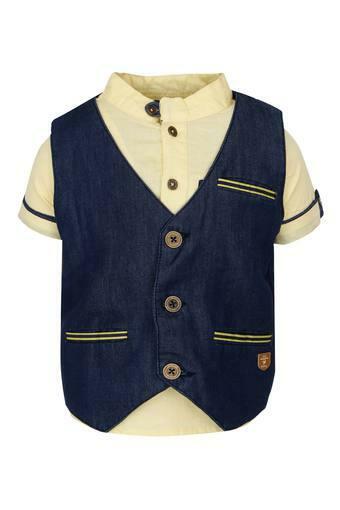 Raise the style quotient of your son by making him wear this shirt with a waistcoat from Baby League. The shirt is adorned with solid pattern and that is further accentuated by the slub waistcoat. Besides, the ensemble scores high on the comfort quotient as it is tailored with good quality fabric. 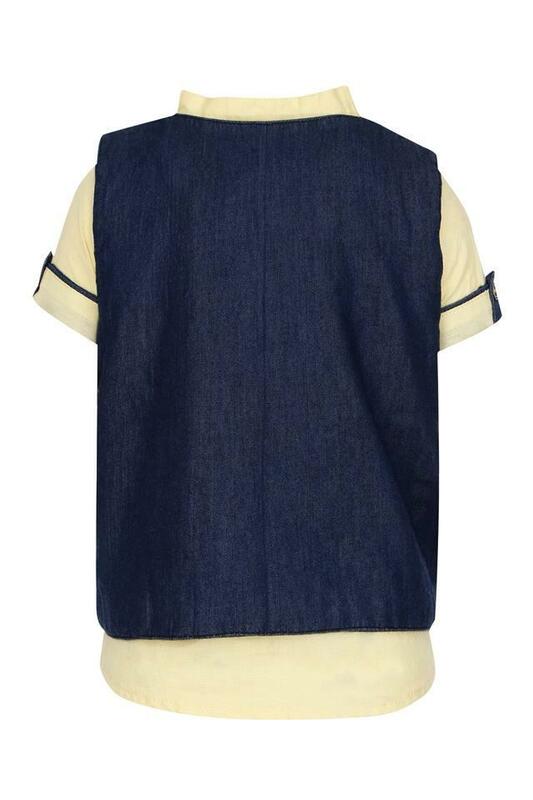 A perfect pick for your little son to wear on several occasions, this shirt with waistcoat. 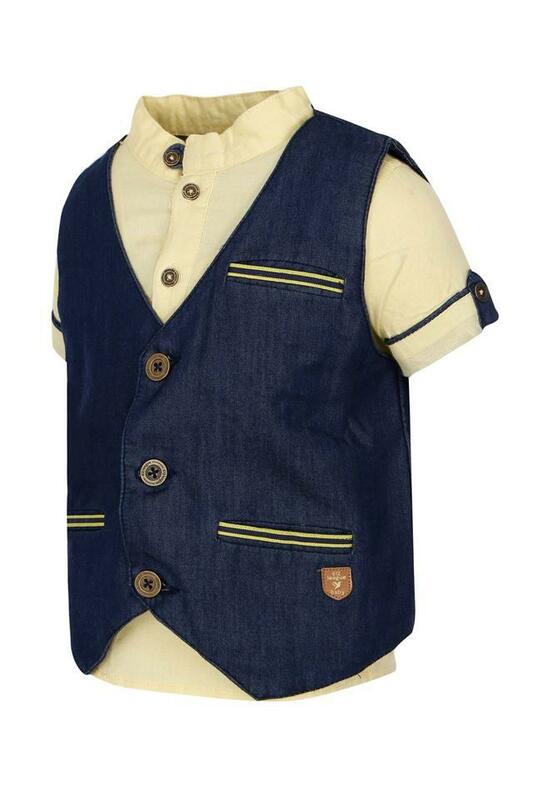 Let him team them with a pair of jeans and loafers for a cute look.